Ex-chairman of BHP (1997-99), Jerry Ellis (left) ex-chancellor of Monash University, and an ex-director of ANZ Bank, has called for Australia to dump the 2015 Paris climate agreement. Ellis’s intervention puts cat among climate pigeons. The alarmists like to lie that sceptics are a fringe group. Ellis is hardly fringe. His former BHP continues to promote the story about human-caused catastrophic CO2 warming, as does Monash University. Ellis is an awkwardness for both. By coming out against climate alarmism, Ellis is giving added respectability to scepticism, much as ex-PM Tony Abbott did with his London sceptic speech of last October. [i] The credibility of the sceptic case, of course, rests not on authority figures but data such as the more than two-fold exaggeration of warming since 1980 by the climate models on which the CO2 scare is based. Here is Ellis’s statement on Paris. I hope the new leadership of the Australian Government has the courage to guide our country in a rational manner on this subject. as Angus Taylor seems keen to do, and abandons the Paris Treaty. Ellis’ intervention comes on the heels of calls from Green Climate Fund supporters for Australia to add another $400m to its $1b plus commitment and $200m contribution to date. The fund under the Paris accord is supposed to parcel up $US100b a year in developed country donations to help the third-world combat climate change. The fund peaked at $US10b – thanks particularly to President Obama – but has only $US3b left. Its July meeting of donors and third-worlders disbanded in chaos with no decisions made and the resignation on the spot of its executive director, Australian ex-climate bureaucrat Howard Bamsey. BHP accepts the Intergovernmental Panel on Climate Change (IPCC) assessment of climate change science, which has found that warming of the climate is unequivocal, the human influence is clear and physical impacts are unavoidable. “A pity that your [BHP] successor in Jac Nasser, his CEO Andrew Mackenzie and his Coal Division President who is now Minerals Operations President Mike Henry lack your understanding. Ellis is Chairman of MBD Energy, a director of Iron Road and on the Advisory Council of The Sentient Group. He is an ex- chairman of auto brake company Pacifica Group Ltd, and has chaired Australia’s premier environmental advocacy group Landcare Australia. Ellis’ statement is published on the website of the Clexit [Climate Exit] Coalition. The coalition was set up in 2016 by Queensland’s Viv Forbes, who runs it as secretary. 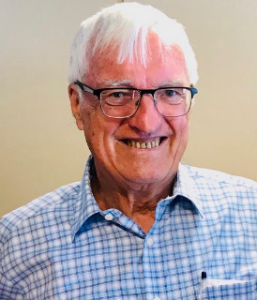 A semi-retired geologist and current livestock breeder, he put in 40 years’ work for coal, minerals and petroleum companies including as a director of Stanmore Coal. The coalition committee includes ex-Czech President (2003-13) Vaclav Klaus , who is patron, Professors Will Happer (US) and Ole Humlum (Norway), Chris (Lord) Monckton and leading blogger Roger Tattersall (UK) and astrophysicist and geoscientist Dr Willie Soon (US). Forbes this month invited members to add a statement on why their country should quit the Paris Accord. Ellis, an original coalition member, responded with this week’s statement. Others came in from more than 20 people representing Sweden, France, US, UK, Canada, Germany and others. Morgan believes the alarmist movement has got so far because of backing by Western millennials who have been indoctrinated during their education. Enjoying living standards unprecedented in world history, they have embraced alarmism as a new secular religion, he says. Ellis’ intervention could encourage other Paris sceptics to come out, including some top figures in Australia’s premier science bodies. Tony Thomas’s new essay collection The West: An insider’s tales – a romping reporter in Perth’s innocent 1960s, can be pre-ordered here. To get tickets to the launch in Carlton at 6pm on October 10, click here. [i] With hindsight,that speech could have lit the fuse for last month’s ousting of climate-alarmist PM Turnbull. Many people from mining and exploration are among the strongest critics of the global warming scare. We became used to the large scale and long time periods of geologic processes as opposed to alarm because, for example, Arctic ice extent fell for a few years arcade ago. We are also critics because we have realistic targets. Ore bodies are either present or absent in exploration terms and they are mostly economic or not to mine. When we use science to discover and characterise deposits,there is no gain from creative processing of data or invention of data, such as is widespread in climate work, where the target changes to fit the theory and the non-rigid goalposts. Uh oh, sorry, but corporate Australia has jumped in significant numbers onto the virtue signalling bandwagon. For their trouble they’re going to end up with gender pay issues, quotas and now Paris and renewables. They needed to be smarter in the first place, instead of putting their feet in the door and preventing it from being shut. Thomas writes “Morgan believes the alarmist movement has got so far because of backing by Western millennials who have been indoctrinated during their education.” Hugh Morgan is quite correct, our education system has been overtaken by ideologues who teach only their view of climate and brook no dissent. I recently gave a necessarily short talk to my local Rotary Club on the facts about carbon dioxide which included the graph of average global temperatures produced by Prof Spencer and Dr Christy from NOAA satellite data showing the global hiatus in warming over 18 years or so. The talk also had graphs of ice core data illustrating that, for millennia, atmospheric carbon dioxide lagged hundreds of years behind global temperatures. A recently retired school principal was furious that such ‘fringe’ material should be shown as fact and was contrary to the orthodoxy on anthropogenic global warming or climate change. He called for me to be censured and to be ashamed of myself for such an error of judgement as to present such material. Sadly, this intolerant and doctrinaire attitude is prevalent within our education system from kindergarten to university and the damage being done to science and scientific process is huge. The planet continues to cool due to the reduced activity of the Sun. Keep your eye on the coming Northern Hemisphere winter temperatures and conditions if in doubt. Meanwhile, the warmist scare-mongers will continue to obfuscate and raise meaningless alarms ; vide the recent scare-piece about methane emissions from an oil field in northern Alaska in the SMH. The long march of the far-left through all of our public institutions, especially education, is almost complete. Now a growing number of corporations have been infected as the graduates from our universities rise to positions of management and leadership, where they can impose marxist ideology like climate change and identity politics to which they have been thoroughly indoctrinated. Among those corporations are BHP, AGL, QANTAS, the ARL and AFL, to name just a few. It is hard to know how western civilisation can survive. All we can do for now is keep supporting and encouraging those with experience, like Jerry Ellis and Hugh Morgan, as well as politicians who have the cojones to speak up. C’mon people, climate alarmism is a bloody gold mine for many, why kill the goose that lays the golden egg. And what else are the voices saying, Bush 1958? When it went from ‘global warming’ to ‘climate change’ it was obvious the warmists had been sprung. Climate crisis or energy crisis?